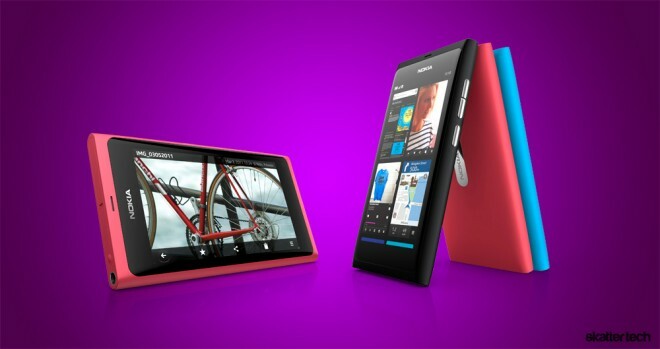 At the CommunicAsia conference in Singapore, Nokia announced the N9 smart phone. Although many were probably hoping for a Windows Phone handset, this device runs on the MeeGo operating system. We took a brief look at its predecessor, the Nokia N8, earlier this year and were quite let down with the software despite the impressive hardware. 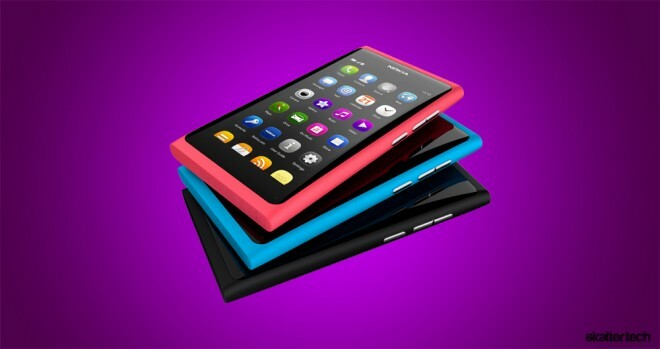 The Nokia N9 passes on Symbian, but the company still plans to release up to 10 smart phones with it over the next year. The new MeeGo OS appears to have one flagship tagline “swipe.” Rather than tapping or holding down a home key to switch between apps, users can simply swipe from the edge of the display to return to the main screen. I am not sure who came up with the idea first, but RIM does something quite similar with a touch sensitive bezel on the BlackBerry PlayBook. There are apparently three home screen views in MeeGo for access to apps, notifications, and social networks. “With the Nokia N9, we wanted to design a better way to use a phone. To do this we innovated in the design of the hardware and software together. We reinvented the home key with a simple gesture: a swipe from the edge of the screen. The experience sets a new bar for how natural technology can feel,” said Marko Ahtisaari, Nokia’s head of Design. While the marketing material and animations for the operating system look quite gorgeous, I am honestly more excited for the impressive hardware. After all, we already know that Nokia plans to ditch this operating system over the course of the next year or two for Microsoft’s Windows Phone. For starters, the N9 features a 3.9 inch AMOLED display with scratch-resistant curved glass and a polycarbonate body. An 8 mega pixel Carl Zeiss camera comes with auto-focus, a wide-angle lens, 720p HD video capture support, dual LED flash, and a large aperture for better low-light performance. Nokia includes voice guided turn-by-turn driving and walking directions, which do not require a constant data connection if I am correct. Audio quality also gets a huge bump with Dolby Digital Plus decoding and post-processing with headphones for a virtual surround sound experience. I am also glad to see that Nokia plans to include Near Field Communication (NFC) in this device. For those not familiar, this technology enables sharing information with other compatible devices when they touch one another. Real-life applications can include things as simple as transferring photos or videos, but the technology can also make secure mobile payments practical. Google Wallet is a great example and NFC is already built into some Android handsets such as the Nexus S 4G by Sprint. Nokia also mentions using this new technology for quick and secure pairing Bluetooth headsets. Meanwhile, Nokia CEO Stephen Elop apparently stated that the company was pushing to make a Windows Phone device available sometime this year. Earlier reports originally indicated that the first device with Microsoft’s OS would not make an appearance until 2012. I’m pretty sure the Palm Pre did that first with the “gesture area”. I’m pretty sure the Palm Pre did that first with the “gesture area” below the screen.